From their younger to more senior years, pets that are active need added nutrition to keep their body functioning at its best. Running, jumping, playing, or hunting requires energy, fully functioning joints, optimum muscle performance, cardiovascular stamina, a sharp mind and healthy paw pads – all physical attributes required for companion animals to have an optimum sense of well-being. The population as a whole is adapting a more active lifestyle as people are becoming more aware of its influence over age-related health issues and longevity. An increasing number of consumers are seeking to take a more proactive approach to living a healthy and active lifestyle. This phenomenon is especially true for the growing over-65 consumer base made up of people who are retiring and desire to remain healthy and active. Rich in time and money, many of them are well equipped to actively conquer the post retirement phase together with their pets. Knowing the number of consumers 65+ is growing at the same rate as the dog and cat population is further substantiation to parallel developments in the human and pet market. Consumer trends for adapting an active lifestyle are naturally being extended to companion animals. The overall pet population lives and stays active longer due to better nutrition and medical care. Additionally, it is shifting towards smaller breed dogs and cats which naturally have a longer lifespan. Add to this demographic the population of young-adult to middle-age consumers seeking to remain active and to stay healthy. Evidence is given by rising sales of sports nutrition and energy products, increasing spending for fitness-related activities as well as health and wellness offerings, all focused to pamper body and soul. The ongoing trend of integrating pets as family members guarantees that an active lifestyle is a top priority for consumers as it should be for the pet industry. Unfortunately, a large number of pets and their caretakers have already left the path of a healthy lifestyle. Not paying attention to adequate nutrition and exercise has resulted in a major portion of the companion animal population being overweight. The animal health community consequently is prompting to recommend losing weight by increasing pet’s activity as part of a healthy solution. This strategy involves nutrient support to help the animal’s body function optimally at higher level of activity. Equipping the animal for an active lifestyle benefits both the pet and their owner. Consumers are learning that nutrition plays a critical role in maintaining an active lifestyle. This growing awareness is anticipated to fuel an increased demand for functional foods, treats and dietary supplements geared towards more active pets. 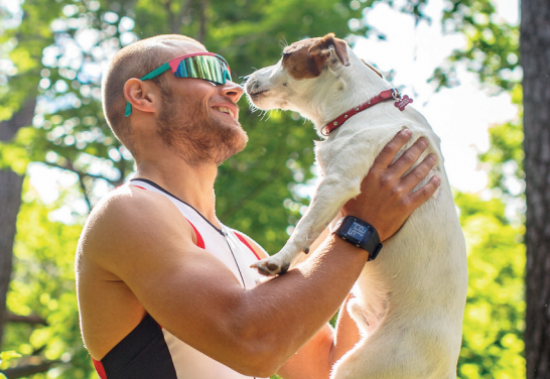 Products addressing health benefits associated with maintaining a companion animal’s active lifestyle are likely to hold the most appeal and are anticipated to show strong growth in the coming years. From their younger to more senior years, remaining active is a critical component for pets to achieve optimum health. Unrestricted mobility requires healthy joints, strong bones, keen vision, lean body, healthy paw pads and a constant source of energy. Some conditions arise from the animal’s body having depleted stores of nutrients, which can be caused by either insufficient daily nutrient intake or the poor utilization of nutrients as the body ages. These factors can be offset with increased nutrient supplementation, subsequently replenishing body stores and thereby slowing the onset of mobility-related diseases. the amount of pain an animal experiences with higher levels of activity. Numerous studies have demonstrated the role of nutritional lipids in naturally steering metabolic pathways in the body, ultimately resulting in reduced inflammation and pain. Highly functional Omega-3 fatty acids from natural sources such as marine animals or algae can contribute to joint support. Glucosamine and chondroitin follow a tandem approach for soothing joints. Glucosamine provides the building blocks to synthesize new cartilage and chondroitin blocks destructive enzymes that break down cartilage in the joints. Vitamin C and B6 are involved in the synthesis of collagen and help to maintain bone mass. Vitamin D in presence of calcium and in combination with vitamin K contributes to maturing bone and increasing bone mineral density. Vitamin E is an important antioxidant and is found in the synovial fluid of joints. Some studies even suggest that vitamin E may be useful reducing joint discomfort. Low vitamin B6 blood levels are associated with joint conditions, possibly due to the pro-inflammatory conditions caused by vitamin B6 deficiency. Fatty acids are one of the primary energy sources animals use when active. As a naturally occurring amino acid derivative in the body, L-carnitine is essential for the metabolism of fatty acids. Although produced inside the body, it is often not at a sufficient level to support all bodily functions that have a high energy demand. Supplementation of L-carnitine can boost the fat metabolism and providing additional energy and performance. Various B vitamins are involved in the cellular process to convert nutrients like carbohydrates, fats and proteins into energy. Vitamin B12 is needed to allow optimal performance of red blood cells supplying the oxygen needed for generating energy. An active lifestyle requires uncompromised vision and eyes. Healthy vision requires adequate levels of vitamins A, B2, C and E, where insufficient levels in the body can lead to cataract formation, retinal degeneration and night blindness with age. The carotenoids, lutein and zeaxanthin are similarly linked to maintaining healthy vision. Lutein is a strong antioxidant naturally occurring in the lens and retina. Additionally, together with zeaxanthin it can filter energy-rich light for reducing damage to eye tissues. The probability of cell damage increases when the body’s metabolism is elevated as a result of a more active lifestyle. Cell damage occurs when free radicals accumulate. Over time,body performance can be adversely affected. It is not uncommon for pets to have suboptimal body stores of vitamins. Vitamin E, C and β-carotene are important antioxidants and are found in a large number of body tissues. By scavenging reactive oxygen species (ROS) and other radicals they help reducing oxidative damage and contribute to the robustness of the pet’s immune system. Studies have shown that beta-carotene promotes the cellular and humoral immune function in dogs directed at increased resistance to infectious diseases. It also significantly restored immune responses in older dogs when compared with their age-matched controls and younger counterparts. Antioxidants also play an important role in maintaining mental performance. Scientific evidence points to vitamin E and β-carotene to help protect brain cells from free radicals. Whereas L-carnitine helps optimize brain function, by serving as an important antioxidant and encouraging the synthesis of acetylcholine, it also has a powerful antioxidant effect on cardiovascular and nerve tissues further supporting an active lifestyle. Additional nutrients the body uses to maintain brain health are folic acid and omega-3 fatty acids. As the first body system to come into physical contact with the environment, proper functioning of the skin is essential for an active lifestyle. Adequate nutritional intervention for promoting skin health is also important for well protected paw pads. Evidence shows that higher levels of biotin and DHA omega-3 significantly improve paw pad health, reducing the incidence of dry and cracked pads that can lead to foot pain. It is obvious, providing pets with the right amount of vitamins, carotenoids and other functional ingredients with a prevention mindset is the optimum approach to maintain the body’s energy and to allow an active life.